Best Airline by all means. Ethad Airways will add the Ethiopian capital, Addis Ababa, to its rapidly growing network in November 2012. The airline will also start flying to the Indian city of Ahmedabad in the same month. The two new cities will expand the airline’s reach to 86 passenger and cargo destinations around the world. 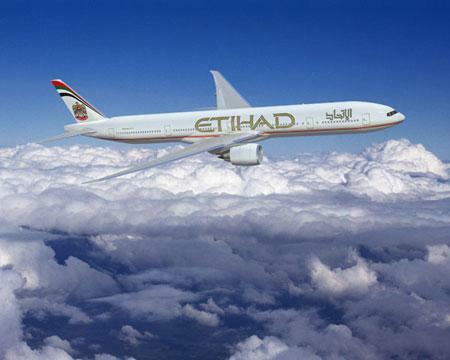 The new routes will each be served by an Airbus A320 aircraft and support Etihad Airways’ aims to connect key strategic cities with its home base of Abu Dhabi, enhancing commercial and leisure travel with the UAE’s capital city. Flights between Abu Dhabi and Addis Ababa, its ninth destination in Africa, will initially operate five times a week, increasing to daily in 2013. Flights will operate daily between Abu Dhabi and Ahmedabad, the airline’s ninth destination in India. James Hogan, Etihad Airways’ President and Chief Executive Officer, said: “We continue to build strength and depth to our global network and the addition of Addis Ababa, a major East African hub, and Ahmedabad, the fifth largest city in India, will make significant contributions to traffic flows to Abu Dhabi and beyond. Ethiopia is the largest African market that Etihad Airways is yet to serve and the second most populous country in Africa. It is expected to contribute strong business and leisure traffic within the airline’s network. There is also a growing Ethiopian population living and working in Abu Dhabi and the UAE which will benefit from the new Abu Dhabi Addis Ababa service. Etihad Airways’ new service to Ahmedabad will offer nearly 1,000 seats a week into the Guajarati city and the November 2012 launch will coincide with the beginning of the peak travel season in India. The airline anticipates strong traffic flows from Ahmedabad to Abu Dhabi and onto its European and US destinations. It also underlines Etihad Airways’ commitment to serve the major population centres across India with direct flights to Abu Dhabi. The A320 aircraft that will serve Addis Ababa and Ahmedabad have two cabins with 16 Pearl Business Class seats and 120 Coral Economy Class seats. How close do you think you can get to the Ugandan wilderness? The .travel name was quickly used on company business cards, brochures, and banners. GorillaSafari.travel envisions itself as becoming one of the top five most recognized Destination Management Companies in East Africa, and .travel is enthusiastic in aiding GorillaSafari.travel in reaching its goals. 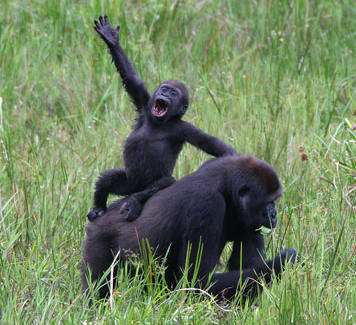 To learn more about safaris in Uganda and all throughout East Africa please visit www.GorillaSafari.travel . You are currently browsing the TOURIST LIFE TRAVEL & TOUR blog archives for July, 2012.